A first visit to Eday with the hydrogen mobile store unit gave the team a chance to see exactly how the vehicle will operate on the island. The trailer had no hydrogen on board for the test run on April 18th. 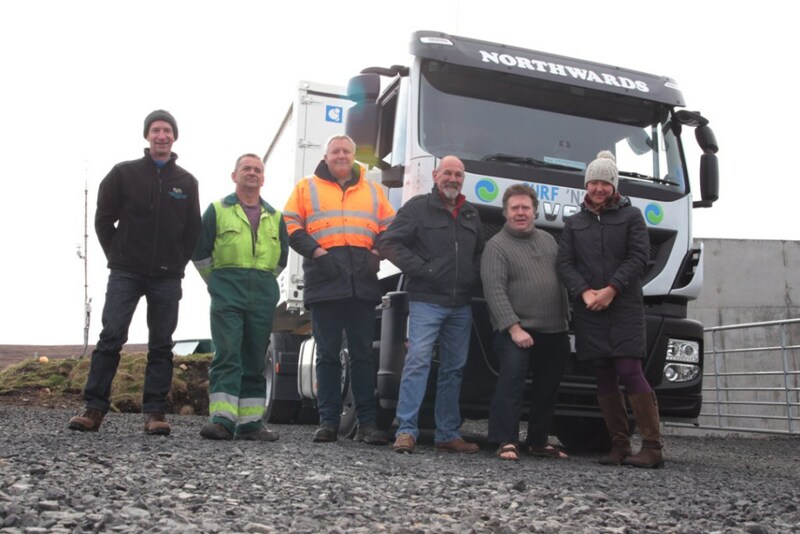 Staff from Community Energy Scotland, the European Marine Energy Centre and Eday Renewable Energy, as well as Northwards (our contracted specialist haulier), spent a day making checks such as the safe speed limits on key roads, where the unit can turn around, and how it will connect to the hydrogen production unit at the EMEC site. This information helps EMEC to finalise its building works, with the certainty the truck can easily manoeuvre into place. It will also contribute to the safe working procedures the project will follow. Further tests and practice runs – again without hydrogen being present – will involve the ferry crews and emergency services, so they are prepared before operations begin.